Handy Vegas Casino - Claim up to £500 + 200 Spins on Starburst Today! Vegas is a Haven for casino games. So, imagine having the entire Vegas on your palms! That would mean so much variety; quality; access and more importantly, fun. Likewise, Handy Vegas is a brand new online gaming casino from the stable of the renowned Nektan brand. The good thing about this Gibraltar-based operator is that regular players already know what they are capable of offering. So, it does not matter what the name of the brand is or the look. Talking about the look and feel, Handy Vegas keeps the Nektan design. Firstly, Handy Vegas did not employ any huge flash cards or graphics. Preferably, they carefully arranged the selection of games to allow for easy access. With just a single scroll from top to bottom, players can quickly get an overview of the entire Handy Vegas. I guess this is why it is called ‘Handy Vegas’. Even when you visit Handy Vegas on your desktop, it still displays the website like a mobile casino. As well, this is one of the very cool features of any Nektan brand. They are usually too simple. Likewise, Handy Vegas is quite handy. From the comfort of any mobile device including tablets, you can enjoy a convenient experience. Meanwhile, there are more than 600 games at Handy Vegas. Mobile users also get to enjoy nearly all these games with so much ease. Never lose sleep over missing out on mobile gaming, bookmark our mobile casino guide. First deposit: The offer is 200% as much as £100. For example, when you deposit £100, you will receive an extra £200 to make it up to £300. Third deposit: Enjoy an additional 50% when you make your third deposit on Handy Vegas. It looks like you are having a good time if you made it to this stage. Fourth deposit: Earn another 100 extra spins on Starburst. Fifth deposit: At this point, Handy Vegas is sending you forth as you are no longer a new player. So, you get a final chance to double that fifth deposit (100%) up to £100. Altogether, the offer looks good. However, taking a look at each offer, it seems reasonable. But then, wait until you see the wagering terms among other conditions that you must fulfil. It doesn’t look ‘handy’. Firstly, you must make a minimum deposit of £25 for each deposit to claim the bonus. Secondly, each of the extra spins has a value of 10p on Handy Vegas. It could be worth any other point in another casino. Also, the cash bonus has to be wagered a minimum of 40 times. Now, that’s a lot of play through requirements for such a little welcome bonus. The extra spins are not left out. Any winnings from using the additional turns will also be played through a minimum of 40 times before any request for payout will be honoured. Players cannot cash out more than five times their deposit amount. If you are a regular player, I bet you already know the titles that you would see. They’ve got some great selection. Another great brand with the same game devs is Casino Heroes and 14 Red. Just like the games, Handy Vegas offers a lot of convenient payment alternatives. Make your pick and enjoy convenience, security, and speed. The payout speed takes between 3 to 5 working days for card options. However, for other electronic wallets, it’s a lot less. If there is one thing that is so true about Handy Vegas, it is the fact that the casino is handy. Whether you chose to play using your tablet or mobile phone, there is no question about the quality that you would experience. Finally, don’t forget to ask questions if you do have any. The support team is always available to attend to the players. 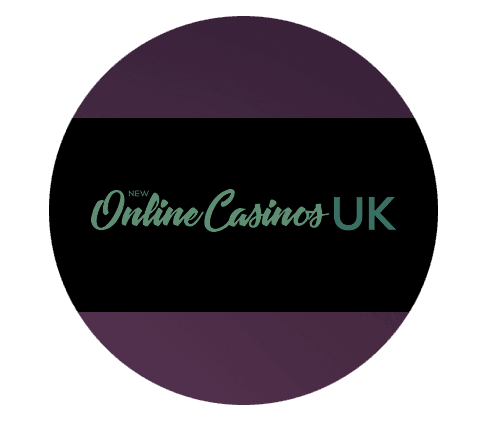 Stay on top of 2019 by keeping an eye at our new online casinos guide.